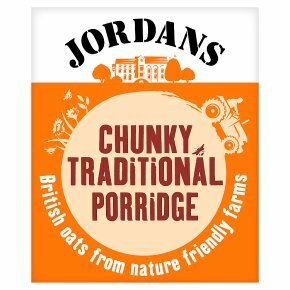 Cooking porridge isn't a science and everyone has their favourite method. Here's how we like to cook ours:To serve 1, PORRIDGE OATS 40g (1/2 cup), MILK/WATER 220ml (1 cup).To serve 2, PORRIDGE OATS 80g (1 cup), MILK/WATER 440ml (2 cups).For best results please cook on the hob but if you prefer you can always pop a bowl in the microwave instead. Simply mix 1/2 cup (40g) of oats with 1 cup (220ml) of milk or water in a LARGE microwave proof bowl. Cook on full power for 2 1/2 minutes, stir well then cook on medium power for 2 minutes. Stir again and leave to stand for 2 minutes, mix in your favourite topping and tuck in.Note: These microwave instructions are based on a 850W oven and are a guide only. You know your microwave better than we do so you might need to adjust them slightly for the perfect porridge. For one portion, place 1/2 cup (40g) of oats in a pan with 1 cup (220ml of either milk or water and mix well. Bring to the boil then simmer gently for 4-5 minutes, stirring occasionally. To make your porridge even thicker and creamier, stir more frequently.